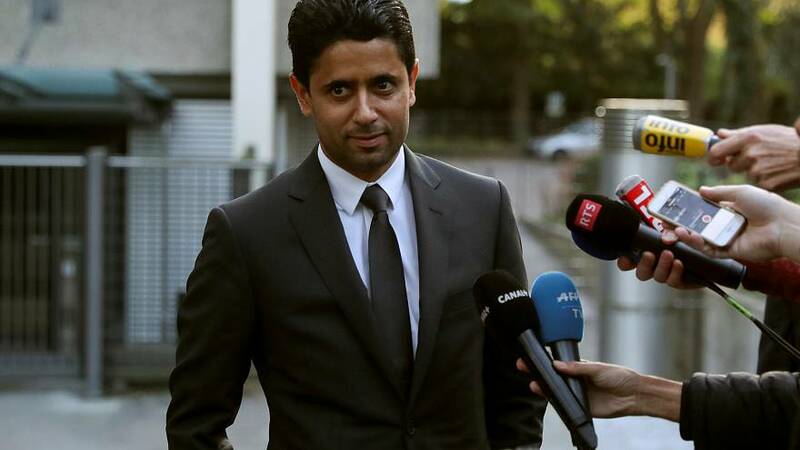 Nasser Al-Khelaifi, the chairman of Paris Saint Germain football club, has been questioned as part of a criminal inquiry into World Cup broadcasting deals. Swiss prosecutors suspect he offered bribes to a senior executive at football’s world governing body, FIFA, to obtain media rights in Africa and the Middle East for the 2026 and 2030 competitions. Al-Khelaifi, who’s also chief executive of Qatar’s beIN media group, has denied any wrongdoing. The company has also rejected all the allegations and says it is cooperating with Swiss officials. However, French authorities who raided the firm’s Paris headquarters last month say they’ve been refused access to computer data because the servers are in Doha. The investigation stems from a corruption inquiry into FIFA’s former Secretary General Jerome Valcke. Valcke is serving a 10-year ban from the sport after he was found guilty by FIFA’s former ethics committee of misconduct over the sale of World Cup tickets, abuse of travel expenses, and destruction of evidence. He was also accused of attempting to sell TV rights below their market value and has has appealed to the Court of Arbitration for Sport.